Recently a friend of mine was telling me about her experience visiting a series of TV talk shows. I was curious about her experience so I asked her a series of questions regarding the various hosts. What was most astonishing to me was the various hosts’ use of the audience. And while I realize that TV is exactly that … TV, I was struck how at the Ellen show she said she felt “used” for the hosts’ purpose. She said Ellen had very little interaction with the audience and that it was as if they were simply a prop being used so the producer could create some false reality of genuineness. Moving the pretty audience members to the front, the not-so-pretty people someplace else, even though you may have paid for V.I.P. tickets. Yes then there is the cutting and splicing parts of one show with a completely different show to offer an illusion of what really happened. While I am not so naive to believe TV has anything to do with reality I think it does beg the question … to what extent would do you go to shape the facts and attempt to create a false sense of what is really happening in your business? In other words how often do you ignore what is really going on around you, with your people, the company, yourself, or the market, so you can give an illusion of something that isn’t quite reality? 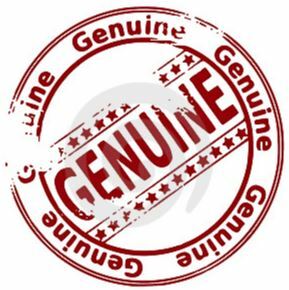 I believe that Leadership is all about being genuine. I believe that when you chose to become a leader you make a commitment to deal in reality and the facts, regardless of whether that means things aren’t always sunshine and unicorns. That said … what follows are 7 behaviors of genuine leaders. You tell people the truth in a respectful way even when the truth stings. You deal in reality and don’t cut and splice bits and pieces of the truth in order to present a false image of what really happened to protect your ego or your reputation. You give your people the credit for the work instead of taking credit for their work in an attempt to make yourself look better because you’re insecure. You engage your people in the work and value what they each bring as individuals. If they don’t bring value … revisit the first behavior. You always take care of the people side of the business and don’t get so stuck on the task of producing the show (the results). You make the hard decisions, have the difficult conversations, and do the things that are uncomfortable in the short-term, but pay dividends in the long-term. You never forget that you ARE NOT THE SHOW. You can’t accomplish anything without others … whether they be customers, vendors, your fans, your people, etc. And people don’t like being controlled or used! The term “Reality TV” is an oxymoron. A very wise man, Jim Rohn, once said that reality is the marketplace and that it all comes down to the value you bring to the marketplace. Want more money … bring more value to those you serve. I believe that truth eventually comes out … it always does … this fact is steeped in the Law of Compensation (everything you do has a cost associated with it) … you can’t fake value, you can’t fake reality because life is not a television show. So … how does your leadership rate on the disingenuous scale? ?